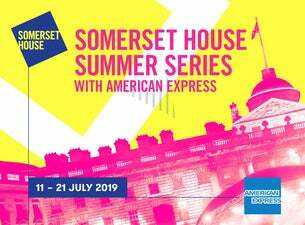 Somerset House Summer Series is returning to London this summer. A carefully curated list of acts will take to the stage for an 11-night series of gigs, taking place at Somerset House, London between 11-21 July 2019. 2019’s edition of the festival will see The Internet, Nao, Sons Of Kemet, Jacob Banks, Rosalía, Doves, The Good, The Band And The Queen, Parcels, Cut Copy, Soulection and Gossip perform headline sets at the landmark venue. Taking place in the heart of the nation’s capital city, the outdoor gigs are held in the Courtyard of Somerset House underneath the London sky. Previous artists who have performed and collaborated with the festival include Adele, Paloma Faith, Calvin Harris, Sam Smith, PJ Harvey and loads more. Grammy-nominated The Internet will launch this year’s event with their unique blend of RnB, soul, hip hop, jazz and funk. They’ll be swiftly followed by MOBO and Brit Award nominee Nao on Friday 12 July, with Mercury Prize-nominated Sons of Kemet taking over headline duties on Saturday 13 July. Six years on from a support performance, British artist Jacob Banks brings his RnB tunes to Somerset House on Sunday 14 July. Berlin-based Parcels headline on Thursday 18 July and Melbourne’s Cut Copy bring their new wave pop to Somerset House for a London festival exclusive on Friday 19 July. Los Angeles music makers Soulection will perform at the festival’s penultimate night on Saturday 20 July before garage punks Gossip bring proceedings to a close on Sunday 21 July. More acts for the festival will be announced over the coming months.